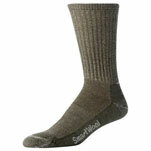 SmartWool is simply the most luxurious, durable, and practical fiber you’ll ever put on your feet. 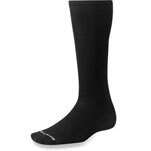 Rely on SmartWool to keep your feet dry in humidity and rain, cool and comfortable in dry heat, and cozily warm on the coldest winter days. It’s truly an extraordinary fabric and we are proud to put it in our footwear. Banish from your mind the outdated idea of wool that’s itchy and uncomfortable. Above all the other advantages of this fiber, comfort is its best feature- you’ll never want to take our gear off! We import our wool from the Merino sheep of New Zealand. The extraordinarily fine fibers these specially bred sheep produce are both soft and flexible, and after SmartWool puts these fibers through a special production process to removal all itch and shrink, you’re left with ultimate in comfortable footwear for all weather conditions.